Impressive 3 Bedroom, 2 Bathroom home with attached 2 Car Garage located in a quiet cul-de-sac in the desirable community of BURNT STORE LAKES. Private Greenbelt View in rear of home. 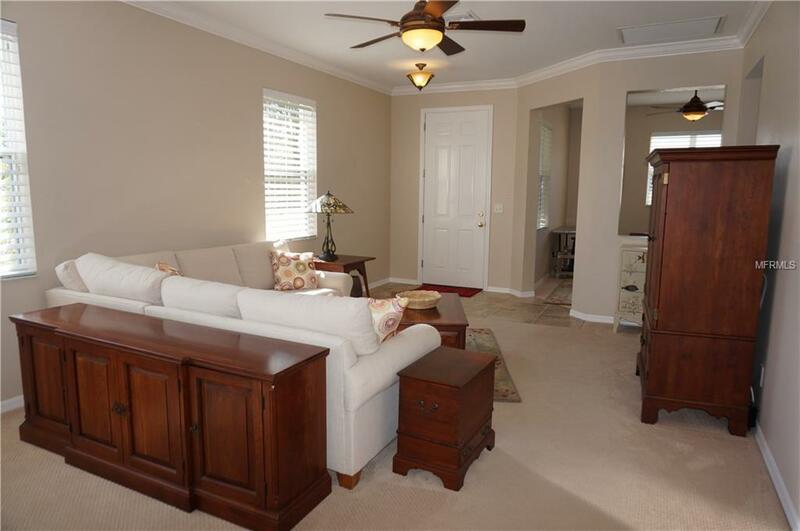 This home offers an open floor plan with Living Room, Great Room, well appointed Kitchen, Bonus Room and Inside Laundry. 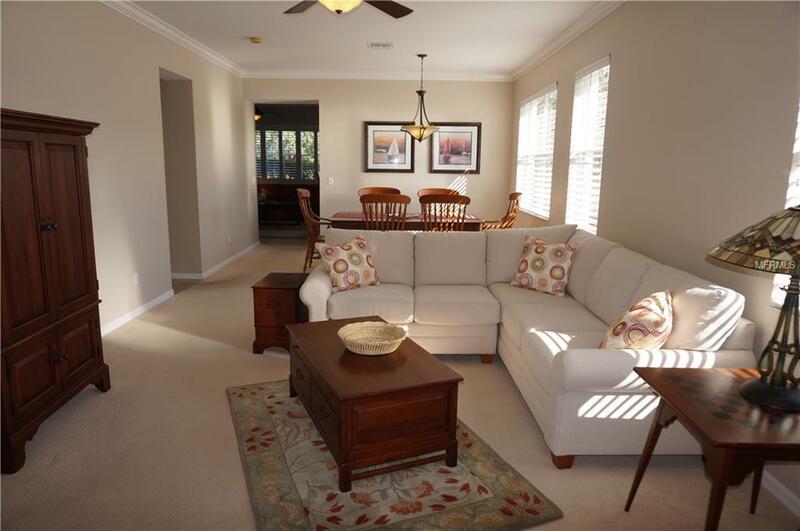 The Living Room features lots of natural light from large windows and a dining area. 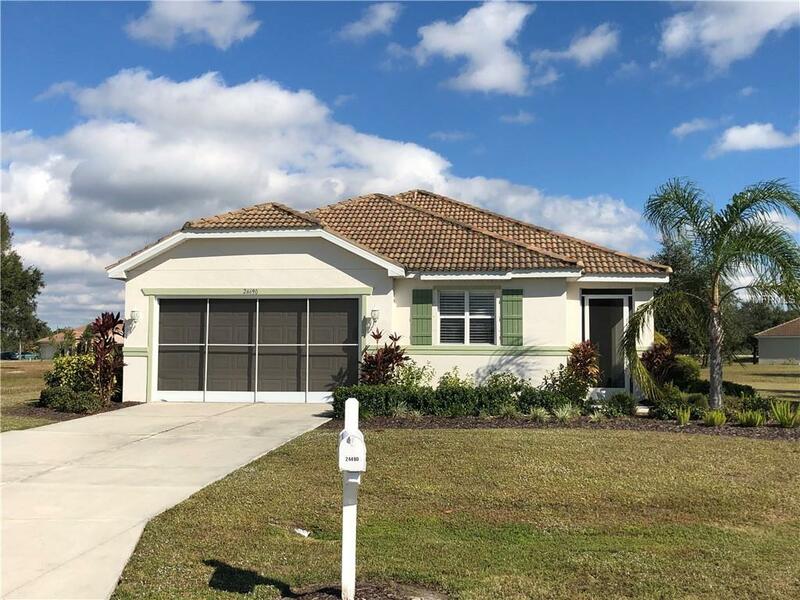 The Kitchen offers stainless appliances, cherry wood cabinets, granite counters, beautiful tile backsplash, closet pantry, breakfast bar and opens to the Great Room - perfect for entertaining! The Master Bedroom suite has a walk in closet and private bathroom with large walk in shower. There is an Inside Laundry room with cabinets and front loading washer and dryer Other features include trey ceilings, added insulation, hurricane shutters, crown molding in living areas, tile flooring in living areas, carpet in bedrooms, plantation shutters, security system, screened sliders for garage door. Utilities are county water and sewer. Natural beauty surrounds Burnt Store Lakes which boasts 11 lakes and residents enjoy fishing, bird watching or observing the abundant resident wildlife. 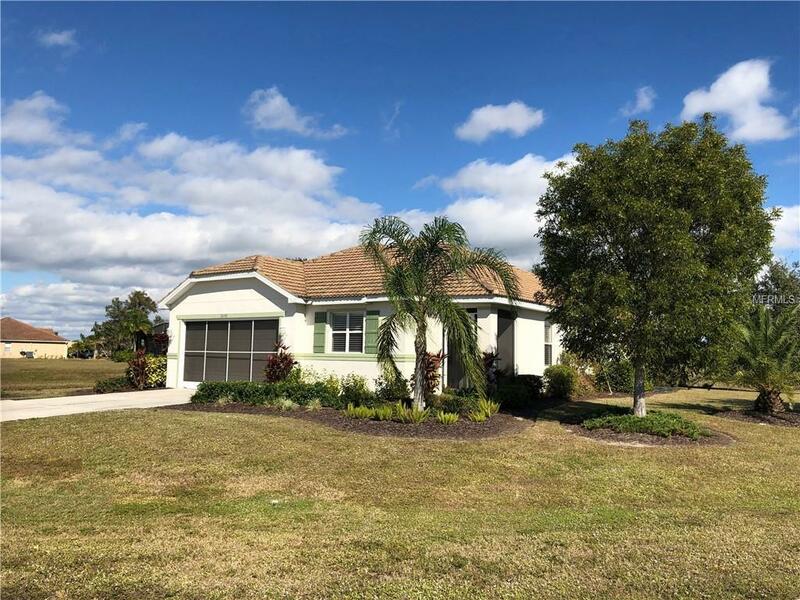 This home is minutes from Burnt Store Marina with restaurant and public golf course and is a short drive to historic downtown Punta Gorda shopping, dining, medical care, waterfront parks, fishing piers, boat ramps, art galleries, events and more!